A fogbow is forming in this late January view. The fields on either side of the fence were stocked with sheep. 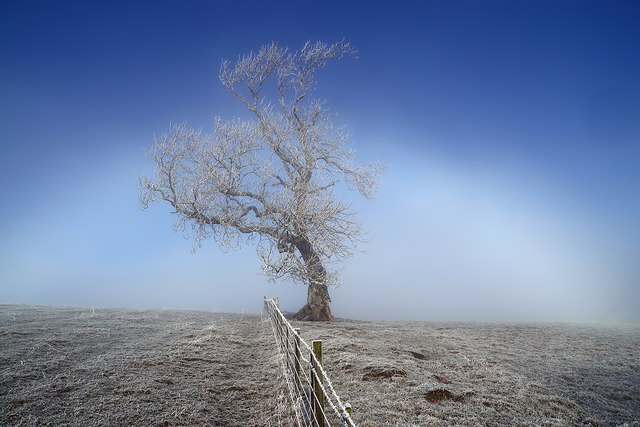 For a view of the tree 45 minutes earlier and in the opposite direction, see NT5934 : A misty morning on Bemersyde Hill.